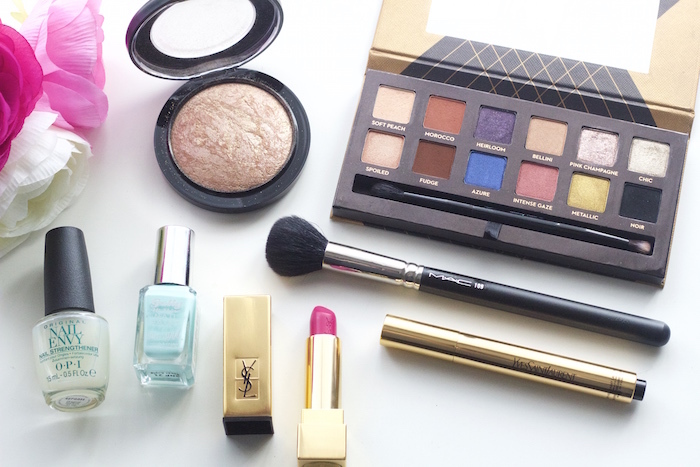 Another month, another monthly favourites! July was a great month for me. The highlight has to be the IMATS, I had such a great day and obviously went a bit makeup crazy! If you follow me on Instagram, you would have also seen that I got my hair dyed pastel pink/peach a few days ago. If you’ve been a reader of my blog for a while, you’ll probably remember my “dye my hair every single colour” stage a few years ago. For the past couple of months I’ve just been blonde, but I decided I wanted to go a bit more adventurous for a while. I’m so happy with how it is! It was actually really hard to cut it down to the products I’ve been loving this month, as there was so many! I think I managed to cut it down so the post doesn’t drag on for too long! I’ve wanted to try some Anastasia eyeshadows for a while now, but getting them shipped to the UK means being hit in the face by import/custom fees. I swear by the brand for my eyebrows, and since the Dipbrow Pomade and Brow Wiz pencil came into my life, I haven’t used anything else! 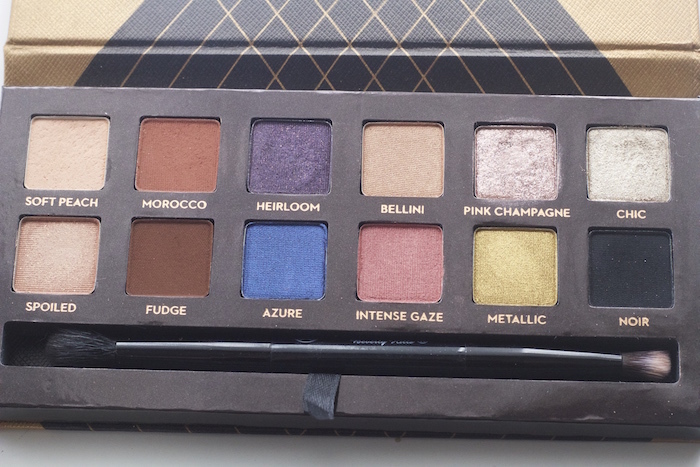 When I saw on Twitter that Beautybay would be selling this palette, I stalked the website on the day waiting for it to go live. It was the beautiful Pink Champagne colour that really sold this palette to me! It’s such a nice palette, and you can create lots of different looks with it. It’s actually sold out on the Beautybay website *sad face*, but I’ve linked it to Sephora, who do ship to the UK if you’re wanting this palette. I’ve got a full review with swatches going up next week. When I first bought this highlighter a few months ago, I really didn’t get on with it. I found it way too BOOM I’m a disco ball, so it sort of went to the back of my drawer and I forgot about it. Now the summers here, I’m all about the glow so I decided to give this a try again. I’ve fallen in love! I use it with the Real Techniques Fan Brush, and it applies just the right amount of product. I’ve been fake tanning lately, and this looks even better when I’ve got a bit of colour to me. This brush is honestly the best contour brush ever! It picks up a nice amount of product, and applies it beautifully to the face. I use this with my Anastasia Contour Kit, it’s a match made in contouring heaven! 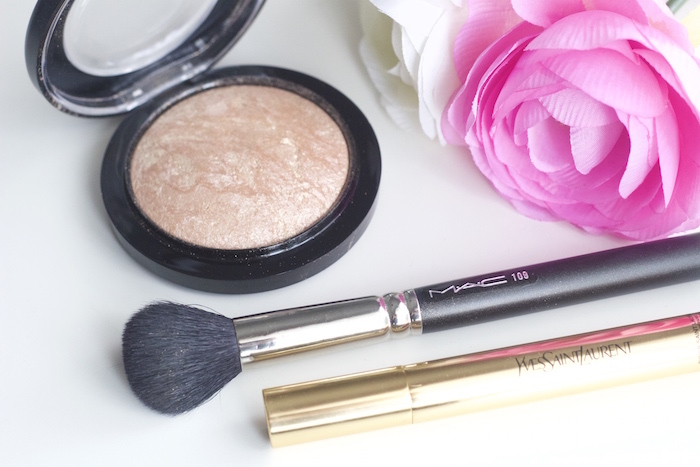 Even though it’s £28, it’s worth the investment as MAC brushes really do last. Tip: If you ever buy a MAC brush, paint a little bit of clear nail varnish over the logo and number, or else the silver comes off. I’ve been repurchasing this for years, it’s one of the first high end beauty products I tried and I’ve loved it since. I’m surprised I haven’t talked about it more on my blog! I use this as an under eye concealer, and it helps to brighten and subtly highlight the area. Whilst the coverage isn’t on par with my MAC Pro Longwear, its just so light and easy to wear in the hot weather. It doesn’t crease, cake and lasts all day. Well worth the price, and I know this is something I’ll continue to repurchase. 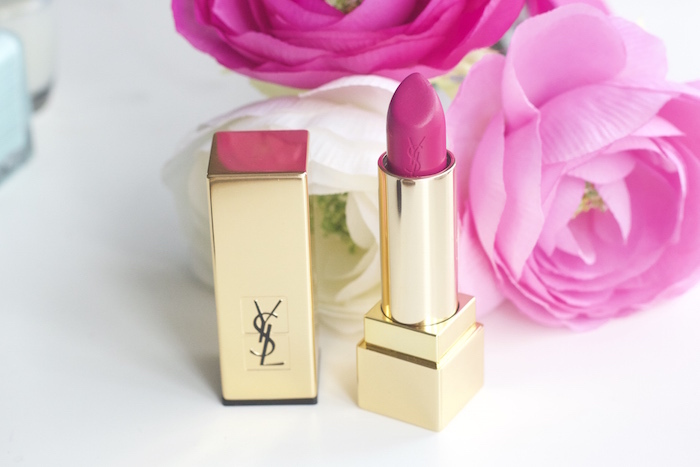 YSL lipsticks are the way to my heart- I absolutely adore them! It was my mum who first got me into YSL, I remember years ago we went and bought the Touche Eclat after reading great things about it in various different magazines. My addiction to the brand began from there! I’ve had this lipstick for a couple of months now, my sister got it for me for my birthday back in February. Throughout July I’ve found myself reaching for this lipstick more than any others in my collection. The colours absolutely beautiful, and it’s perfect for summer. I own a ridiculous amount of nail polishes! I store most of them on an acrylic shelf on my bedroom wall, and I currently own well over 100 bottles so I have a wide range of colours to choose from. This Barry M polish has literally been the only colour I’ve worn throughout July. When it chips, I simply remove it and put the colour back on. I normally switch up my colour every couple of days, but this has been the only one I’ve used, I’m so surprised! It’s such a pretty light blue, and looks great with a tan. I’ve been wearing uv gel nail extensions or occasionally acrylics on and off for about 2/3 years now. Back when I went to college, I did beauty therapy so I trained in how to do them and I also own the kits, so it made sense to continue to do it when I left as the kits had cost a bloody fortune. In the beginning of the month, I decided I was going to go without for a while, and give my nails some time to breathe. 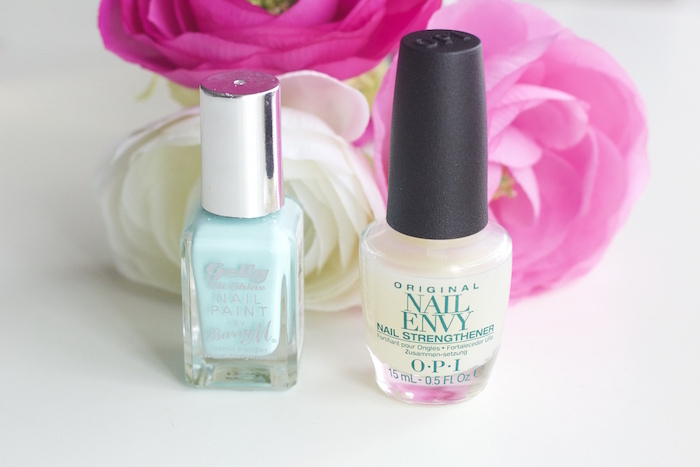 OPI Nail Envy is something I’ve been repurchasing for a couple of years, and it works wonders. It strengthens and brings my nails back to life when I use this, and I always use this underneath my nail polish. I’ve tried various other nail strengtheners, but nothing compares to this. Absolute must have! So that’s the products I’ve been loving throughout July. Hope you had a lovely July, and have a fabulous August!